Images taken in and around my home city of Liverpool, UK. Multi coloured fireworks seen above the famous Liverpool skyline during bonfire night in 2017 - seen from the Seacombe promenade on the Wirral. 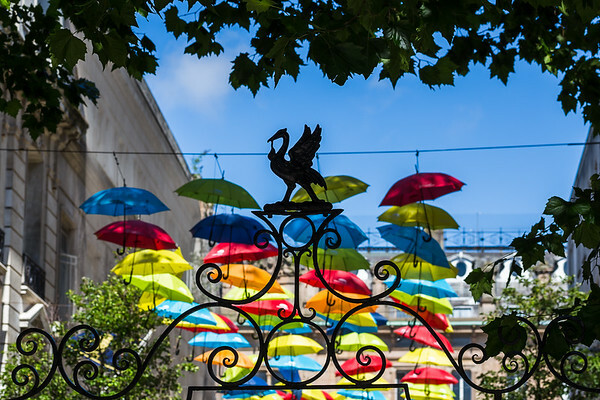 The silhouette of the Liverbird on the gates of Bluecoat Chambers, (the oldest suriving building in central Liverpool) pictured in front of dozens of colourful floating umbrellas. The Clipper Race (now in its eleventh year) sees twelve global teams compete in a 40000 nautical mile around the world race on a 70 foot ocean racing yachts. 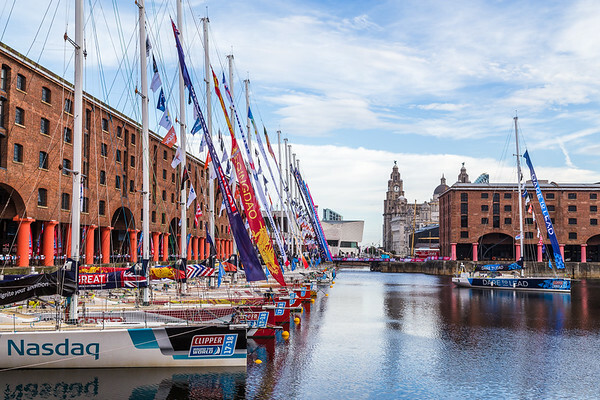 The teams are due to leave the host port of Liverpool on 20 August 2017 to begin their first leg – a 5200 mile mile journey lasting approximately 33 days to South America, taking in the Canary Islands & Doldrums along the way. 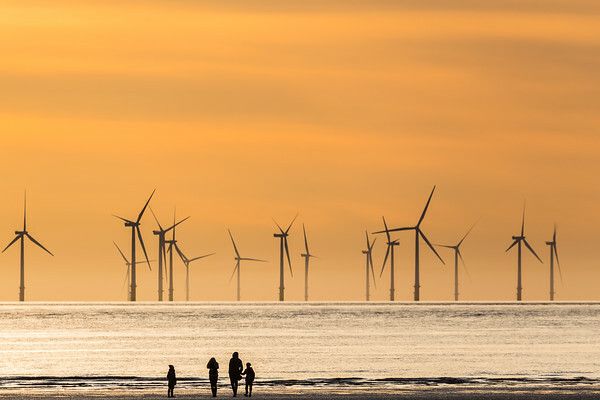 A family of four silhouetted against the spring sunset as they walk along the waters edge at Crosby beach near Liverpool. Golden light spills onto the three graces. 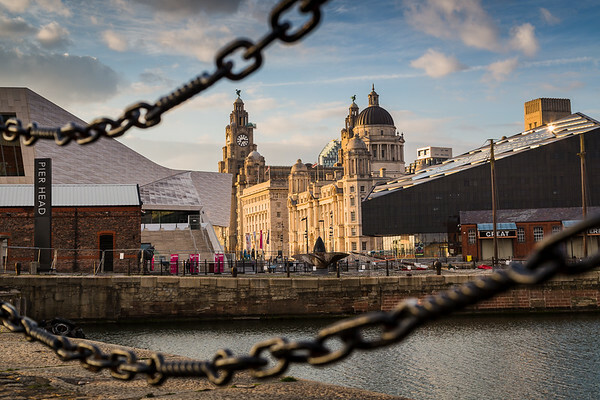 Captured on the Liverpool waterfront on April 2015. 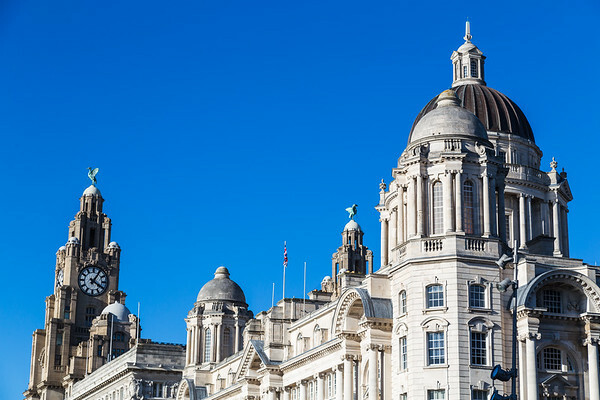 The three buildings (Port of Liverpool Building, Cunard Building and Royal Liver Building) which make up the Three Graces on the Liverpool waterfront under a blue sky. Liver bird from the funnel of HMS Liverpool. 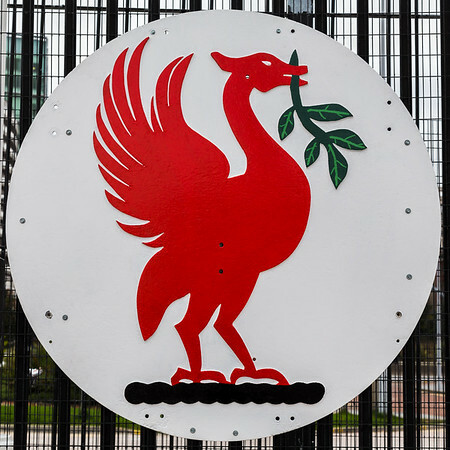 One of the two giant badges on the gates of the Liverpool ferry terminal. These originate from the funnel of HMS Liverpool. Long exposure across the Canning Dock towards the Pumphouse pub, the Albert Dock & the spinning ferris wheel. 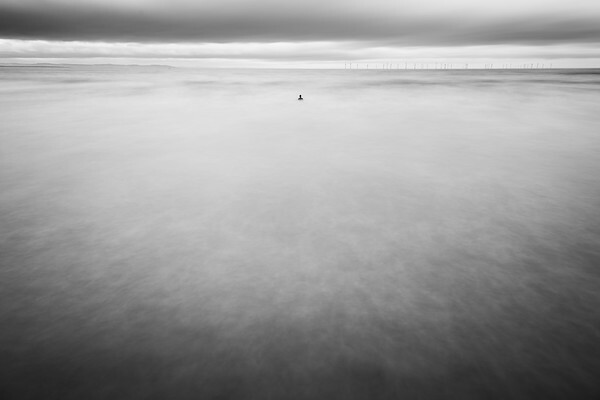 Head & shoulders of an Iron Man peek above the incoming high tide on the Sefton coastline. These are one hundred life-size sculptures dotted along this stretch of beach created by Antony Gormley. 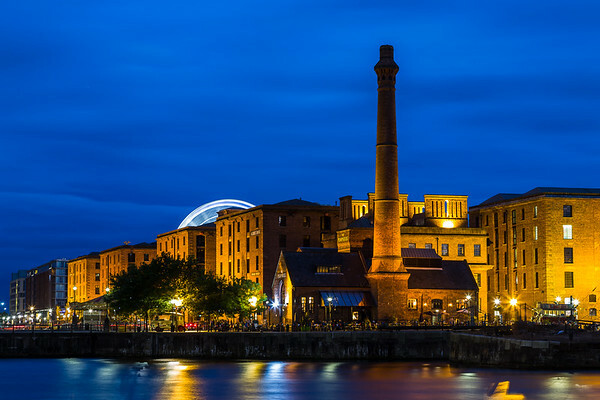 A colour panoramic image of the Albert Dock on the Liverpool waterfront. Five long exposures were captured & merged to create this final image on a spring day. 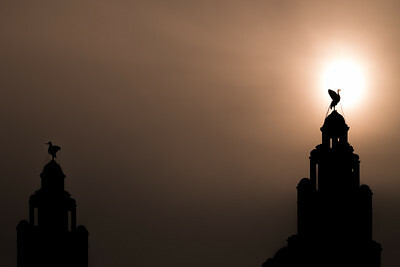 The low lying spring sunshine captured behind one of the Liver birds overlooking the city from the top of the Royal Liver Building in Liverpool. Liverpool skyline from the Anglican Cathedral. The River Mersey seen between the famous skyline of Liverpool & the Wirral peninsula - captured on an overcast autumn day.